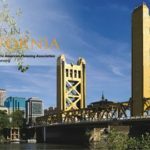 2017 Great Places in California Awards – Nominations Due! The California Chapter of the America Planning Association is pleased to announce the 3rd annual Great Places in California Awards. A Great Place in California is one that exemplifies character, quality and excellent planning. It can be anywhere from the beach to the mountains, from a large city to a small community. It can be a vibrant downtown, a suburban gathering place, a historic small town, a public park, or preserved open space. Most important, it must be a place where people want to be! Three awards will be selected in 2017. Please see the nomination form for additional information on the Great Places in California recognition. Nominations that did not receive a Great Place in California previously are eligible to apply again. Nominations are due Friday, March 17, 2017.